The focus of XMT includes Information and Communications Technology (ICT) & Telecommunications Services, Managed ICT Services, and Managed Infrastructure ICT. We have the resources and the capabilities to undertake projects of all sizes, while our professional project teams ensure the quality, timeliness and cost effectiveness in project deliveries. 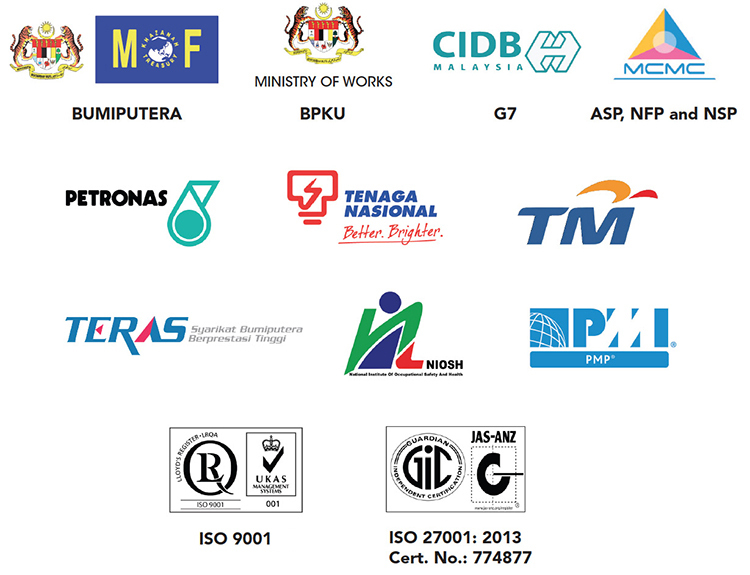 We are members in good standing with these various organisations as we have one aim in mind – to deliver projects, ensuring you and your business operate efficiently and compete effectively with products and services of the highest reliability, security, and efficiency.